The race to $500 for VANCE MAJOR is nearly over in just 48 hours! Hurry, or else you won’t have a chance to donate! The last time VANCE MAJOR, creator of the MINARD saga and currently producing the upcoming CONSTAR CHRONICLES, asked fans for donations, it was last July. He needed $500 to buy uniforms for his multi-episode Constar project. Just as I was getting ready to post something about the campaign, 72 hours after launching it, Vance shut it down. Why? Because he’d managed to raise the $500 he needed (plus an extra $50 to cover the commission to the crowd-funding service). That $500 allowed Vance to complete 15 fan films (which will debut later this year), with a bunch more in post-production at the moment. But now he wants to produce some additional stories, but he needs a few more uniforms and certain props to make that happen. So once again, he’s reaching out to the fan community. And finally, if you still feel like you haven’t donated enough today, the folks over at POTEMKIN PICTURES are building a full-size shuttlepod…with a design halfway between Trek movie-era and TNG-era. It’s taking shape nicely, as you can see here on Facebook. In what I consider to be an interesting experiment, Potemkin opted NOT to use a crowd-funding service and is instead simply taking in donations directly through PayPal at producer@potemkinpictures.com. And if you donate $189, you get to name one of five shuttles they’ll be using (one model, five names). What would YOU name your shuttlecraft? Author Jonathan LanePosted on March 25, 2019 March 28, 2019 Categories Fan Film Features, NewsTags Constar Chronicles, Dreadnought Dominion, Minard, Potemkin Pictures, Vance Major23 Comments on The race to $500 for VANCE MAJOR is nearly over in just 48 hours! I’ve affectionately referred to VANCE MAJOR as the “Where’s Waldo of Star Trek fan films.” Between his appearances in episodes of Starship Valiant, Melbourne, The Lexington Adventures, Dreadnought Dominion, The Romulan Wars, and Outlaws…and his own Minard series of nearly three dozen fan films (check them all out here)…plus his involvement in helping to schedule fan film shoots on Ray Tesi’s TOS sets in Kingsland, GA…well, Vance is pretty much everywhere in front of and behind the fan camera these days! 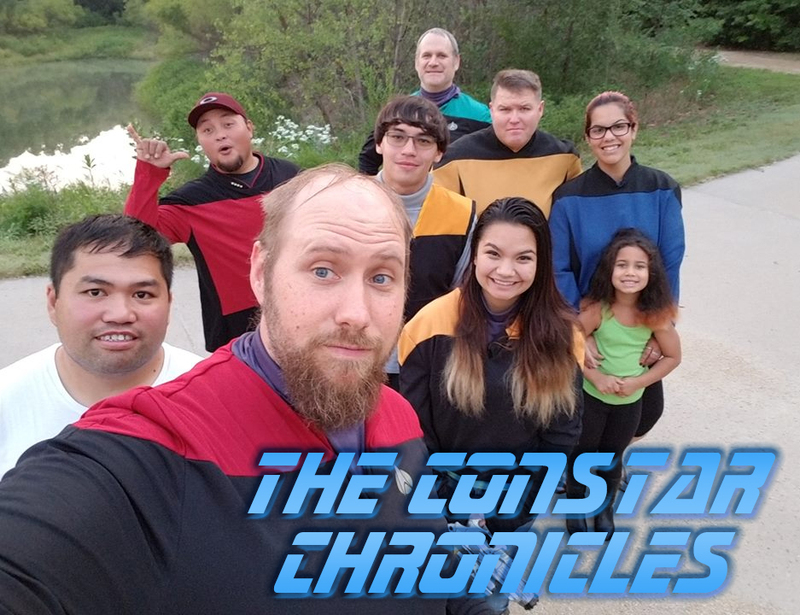 Vance is a prolific, low-budget fan filmmaker who doesn’t care if his characters are a little hefty for Starfleet or wear glasses or sneakers with their uniforms. He’s in it to have fun and tell his stories. If you like what he makes, great. If not, then don’t watch. 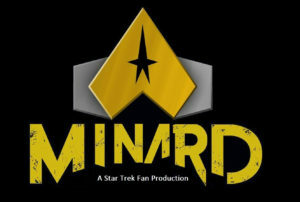 After wrapping up the Minard saga in February of 2018, Vance announced with 100% certainly that he was done producing Star Trek fan films. He had said all he needed to say, he was worn out and exhausted, and it was time to move onto other things in his life. Well, that New Year’s resolution lasted only a few months…! 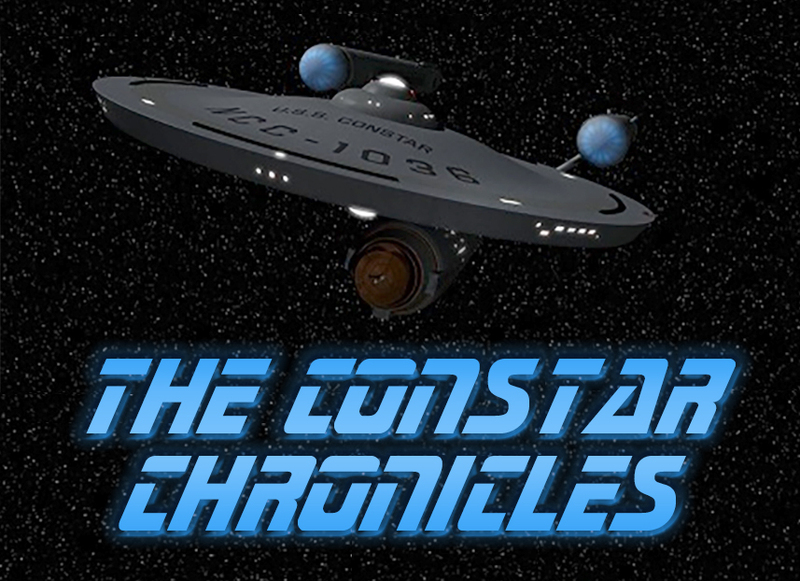 Early last year, Vance announced that he would be producing a new fan series, loosely titled THE CONSTAR CHRONICLES. I say “loosely” because the fan guidelines don’t allow for ongoing fan series. But while these will all deal with the same crew on the same starship(s), each will be a self-contained tale focused on a different character. Vance explained his decision to return to making fan films—and what would be different this time—in an audio interview in a blog back in August. …and I figured now might be a good time to check in with him on how things are going. 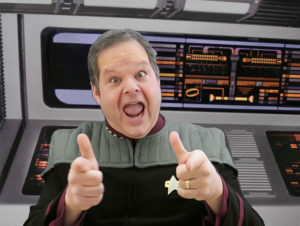 I like to call VANCE MAJOR the “Where’s Waldo of Star Trek fan films.” He seems to be all over the place, listed in the credits of Starship Valiant, Melbourne, The Lexington Adventures, Dreadnought Dominion, The Romulan Wars, and Outlaws. He’s also one of the two people running Starbase Studios, LLC at the moment, helping Trek fan filmmakers find resources and sets to shoot on. And of course, Vance has played the character of Erick Minard in nearly three dozen fan films, including Starship Valiant, Melbourne, Chain of Command, Command and Conquer, and about 30 fan films in the MINARD saga spanning multiple eras of Star Trek. Those Minard films came to a conclusion his past February. And in multiple interviews, Vance confirmed over and over again that this was it for him making fan films! He was willing to step in and help behind the scenes if asked, but he was done making his own fan films. Of course, the big question on my mind for Vance was: “What part of ‘I’m done with making fan films!’ isn’t he understanding?? ?” But seriously, I was really curious what made Vance change his mind so quickly…and what his plans are for this new fan series. Will it go another 30 episodes like the Minard saga? How will it be different than what we’ve seen before? How soon until we see more episodes? Yesterday, we began discussing the many fan films of MINARD saga with their creator, VANCE MAJOR. 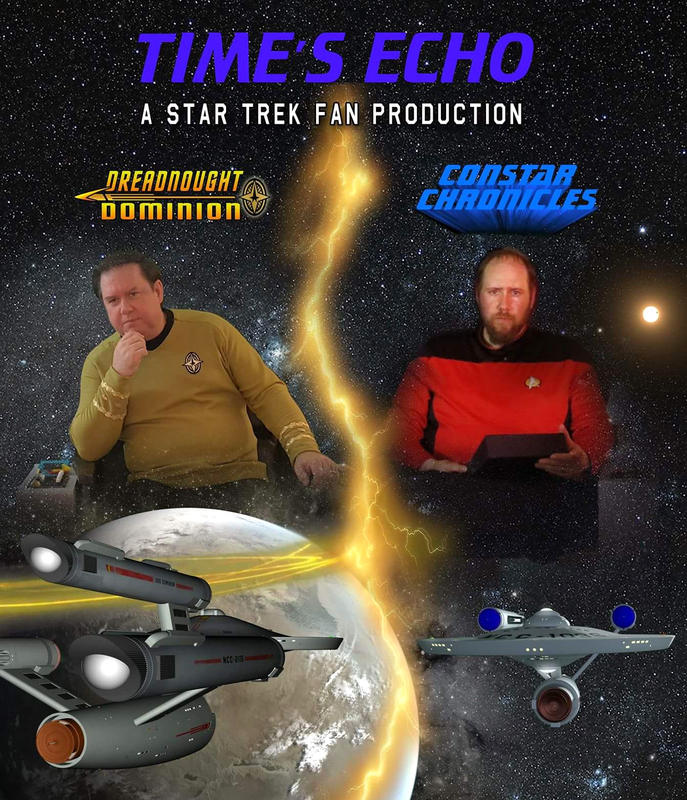 Nearly three dozen different episodes make up this rich and expansive tapestry telling the story of Chief Engineer Erick Minard of the USS Valiant, who goes on to live a life that spans over 100 years of Star Trek time. During that life, Minard serves under Captain Christopher Pike, marries, suffers loss, gets a command of his own, fights the Borg, meets his counterpart from the Kelvin timeline, and even battles his Mirror Universe doppelgänger. And it all happens in series of short fan films made for little to no budget, purposefully told out of chronological order and thereby creating a viewing experience unlike anything else in the world of Trek fan films. The Minard saga isn’t for everyone, but for fans who appreciate the storyline and the effort and dedication that went into producing it, a very rewarding journey (or should I say trek?) has just been completed with the release of Vance’s final 2-part, 25-minute episode The Best Things. You can view ALL of the Minard episodes here in their order of release. Even the best things must come to an end…and so it is for the MINARD saga. Depending on which films you count officially as part of this tapestry, the character of Erick Minard has appeared or been referenced in about THREE DOZEN different fan films! More than thirty of these were written and produced by VANCE MAJOR (who plays the character of Erick Minard along with his mirror and Kelvin-verse alter-egos). Minard has also appeared in multiple episodes of Starship Valiant and Dreadnought Dominion. Vance Major’s Minard films have ranged in length from 30-second parody vignettes to the full 15 minutes allowed by the fan film guidelines. His last episode, The Best Things, premieres today as a 2-part 25-minute finale. With only a shoestring budget, Vance has done action, romance, comedy, suspense, quiet introspection, and even surreal dream sequences. He’s produced episodes featuring full casts of ten or more characters and other episodes with just two actors or even just one. At one point, Vance released SEVEN Minard fan films in just SEVEN DAYS! A couple of months later, Vance released another SIX Minard episodes in a SINGLE MONTH! Vance’s Minard films range from Trek eras pre-Kirk to post-DS9…and they were NOT released chronologically. This allowed viewers to jump around the century-long life of Erick Minard, experiencing a tapestry of moments that ultimately come together like puzzle pieces into a finished image. Fan films can be the great equalizer when all one wants to do is simply tell his or her story without all the dazzle. And that’s exactly what Vance Major has done…in a truly remarkable way. THIS is what happens when you ask JONATHAN LANE for a FAN FILM FAVOR! On December 8th, I received an instant message on Facebook from VANCE MAJOR, the creator of the MINARD Saga of fan films. Vance needed a favor from me. 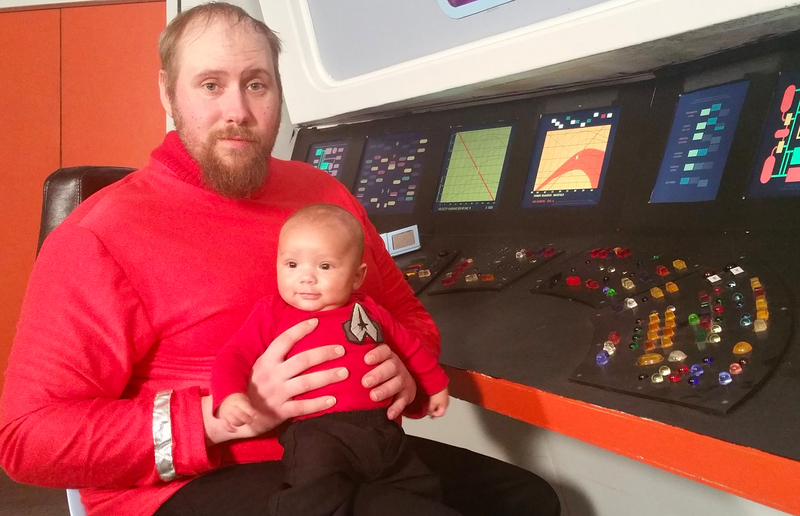 Vance and I have become pretty good friends over the past year or so…divided only by the distance between southern California and Kansas, but united by our love for fan films and Star Trek, as well as our shared experiences as fathers to wonderful little boys. Oh, and we’re both fan filmmakers. Granted, Vance has done waaaaaaay more in that genre than I ever have, and I truly respect his work. And that’s why I happily agreed to the favor he asked me. 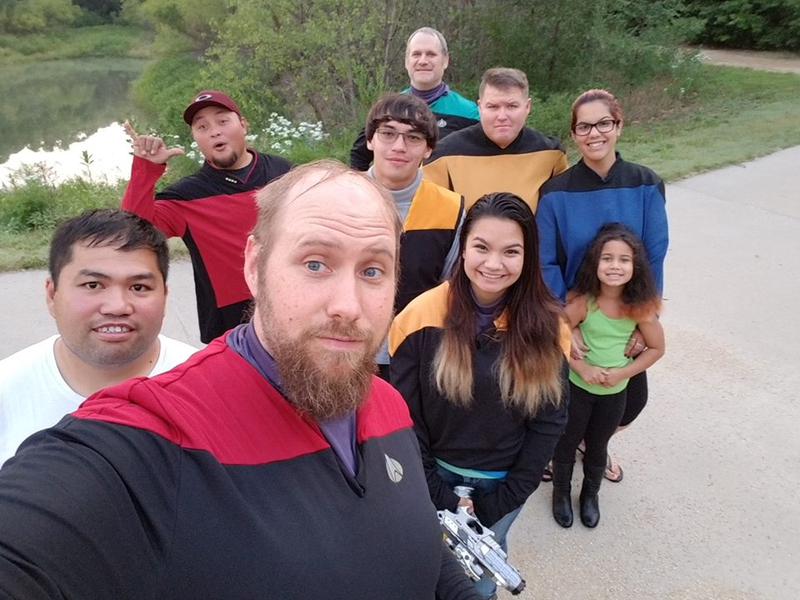 For a few of his final productions, Vance wanted to include brief video clips of some of his closest friends from the fan film community. One of these was a fan film titled Change (which was released last Friday). All I needed for the short headshot clip was to look into the camera and say something like, “Comm secure, standing by…” or “Channel encrypted, go ahead…” and then stare at the screen for the next 15-20 seconds. Then I would upload the video file to Vance who would do the rest, editing the various clips he received from folks into his final production. Vance said he preferred a late 24th century uniform (final seasons of DS9), but if I didn’t have that style of uniform, I could just wear a black T-shirt and he’d composite my head onto a proper uniform. Do I have a late-season DS9 uniform!? Is the Pope Catholic??? So I went out and bought a blue-colored matte board to serve as a makeshift blue screen background, came home, put on the uniform, set up some lamps, stuck my camera on a tripod, and recorded Vance’s 20 seconds of footage. Author Jonathan LanePosted on February 1, 2018 Categories Fan Film Features, Personal StoriesTags Jonathan Lane, Minard, Vance Major15 Comments on THIS is what happens when you ask JONATHAN LANE for a FAN FILM FAVOR! Another SIX fan films in the MINARD saga from VANCE MAJOR…all in just 30 DAYS! Back in September, I reported on how VANCE MAJOR (whom I affectionately refer to as the “Where’s Waldo of Star Trek Fan Films”) had released SEVEN Trek fan films in just SEVEN DAYS. And now Vance has done it again! This time, Vance wasn’t quite as prolific, but he did manage to debut SIX fan films in less than 30 days, from November 3 to December 1. All of the films continue to saga of Erick Minard, chief engineer of the Starship Valiant and the captain of the USS Constar nearly a century later. How is Minard alive to serve under Captain Christopher Pike and still around in the 24th century to fight the Borg and talk to Lt. Commander Data and Dr. Crusher? The only way to find out is to watch the episodes as they are released. Some fans have criticized the production quality (or the lack thereof), and even Vance himself acknowledges the low-budget look of the finished product. The uniforms often don’t always fit properly, the spoken lines in outdoor scenes can be overwhelmed by a mild gust of wind, and certain characters look like they could use a few extra workouts on the ship’s treadmill. (I’m one to talk!) 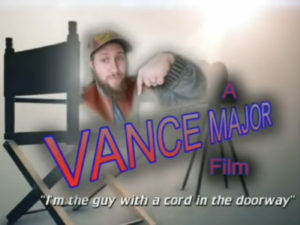 Even Vance’s own production company vanity plate at the end acknowledges, “I’m the guy with a cord in the doorway” (a glitch which actually happened about 50 seconds into this fan film). But those who criticize Vance’s work, in my opinion, aren’t getting what fan films are all about. Not everyone can make a Star Trek Continues, Renegades, or Prelude to Axanar. And they don’t have to! Fan films are the great equalizer. We all create our projects to the best of our abilities and our budgets. Even the worst fan film still requires a great deal of work—writing a script, pre-production prep, getting the actors together, directing scenes both technically and dramatically, VFX (if you have any), sound, music, editing—fan films don’t make themselves! And if you don’t like the end result, then don’t watch. Or watch anyway because most fan films these days (including Vance’s) are pretty short. Author Jonathan LanePosted on December 7, 2017 December 7, 2017 Categories Fan Film Features, NewsTags Minard, Vance Major2 Comments on Another SIX fan films in the MINARD saga from VANCE MAJOR…all in just 30 DAYS! 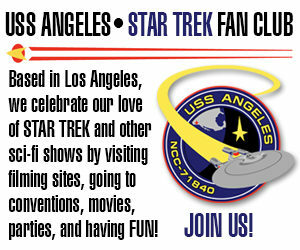 VANCE MAJOR releases SEVEN TREK FAN FILMS in SEVEN DAYS! 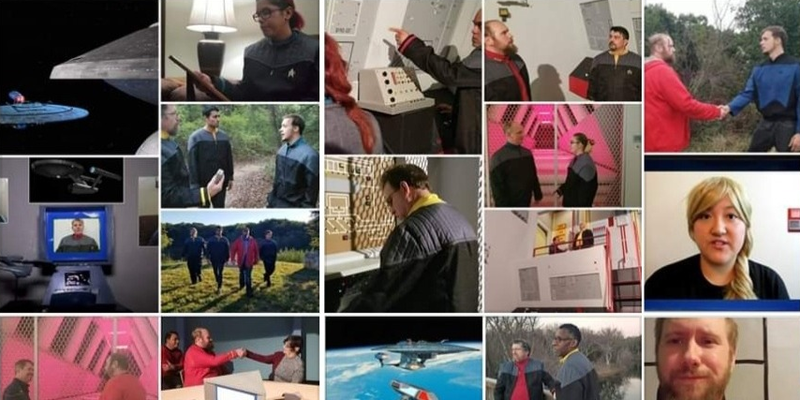 Last month, in an interview with fan film maker VANCE MAJOR, I called him the “Where’s Waldo of Star Trek fan films.” The interview included a list of over a dozen different Trek fan films that Vance had written, directed, produced, appeared in, and/or worked on. But now, after releasing ANOTHER seven (yes, SEVEN!) Trek fan films—one per day!—in just seven days, I think I need to rechristen Vance the “Oompa Loompa of Star Trek fan films”…perhaps even Willy Wonka himself! Author Jonathan LanePosted on September 22, 2017 December 7, 2017 Categories Fan Film Features, NewsTags Minard, Starship Valiant, Vance Major9 Comments on VANCE MAJOR releases SEVEN TREK FAN FILMS in SEVEN DAYS!